You are here: Home › Blog › Training › Will I Receive a Certificate? On successful completion of our FACIALENHANCE® cosmetic acupuncture, dermal roller/pen, five element acupuncture or jade roller online courses, you automatically receive a certificate. If you’re adding a new service to your insurance cover, they may wish to see a copy of your certificate. You may also want to use certification for (Continued Professional Development) CPD purposes – so, we can also provide a printed, hand-signed copy from your tutor if preferred. 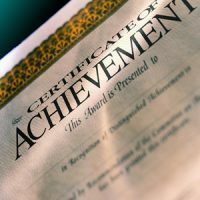 There’s no expiration date on your certificate, only the date that you received it. 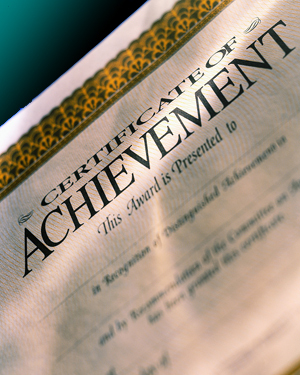 And, once you’re training is complete, the resulting certificate doesn’t need to be renewed. Visit our course catalogue to enrol and you could soon be the proud recipient of your own FACIALENHANCE® certificate! I really enjoyed the course, and I intend to implement the program in my acupuncture therapies. Thank you so much for offering this course, enjoyed it and hope to get busy using it ASAP. I’ve really enjoyed working through the programme and I’ve definitely gained a lot from it both on theoretical and practical levels. Thanks for an amazing course. It was very informative, interesting and creative. It has added a lot to my practice. My patients are also enjoying the amazing results we are able to achieve from these treatments.